The conflict began back in December of last year when the actors cast in the roles of Harry, Ron, and Hermione were announced. 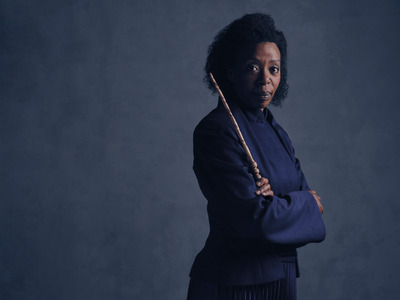 That was when the world learned that black actress Noma Dumezweni had been tapped for the Hermione role, which was played by Emma Watson in the “Harry Potter” movie franchise. Rowling said back then that she never specifically described Hermione’s race in the books. And there had been a longtime fan theory that Hermione was black. Regardless, many fans were not happy about the casting. Dumezweni, who won an Olivier award for her role in “A Raisin in the Sun,” will play Hermione 19 years after the final book in the “Harry Potter” series. 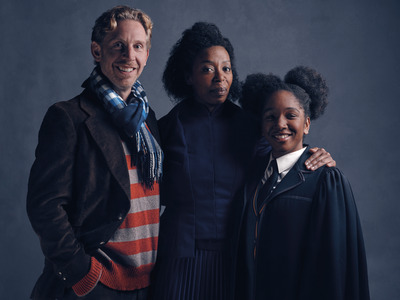 The character is married to Ron (Paul Thornley), with whom she has a daughter, Rose Granger-Weasley (Cherrelle Skeete). “Noma was chosen because she was the best actress for the job,” Rowling said. The play, which will open July 30 at London’s Palace Theatre, sold a record-breaking 175,000 tickets in the first 24 hours during pre-sales.